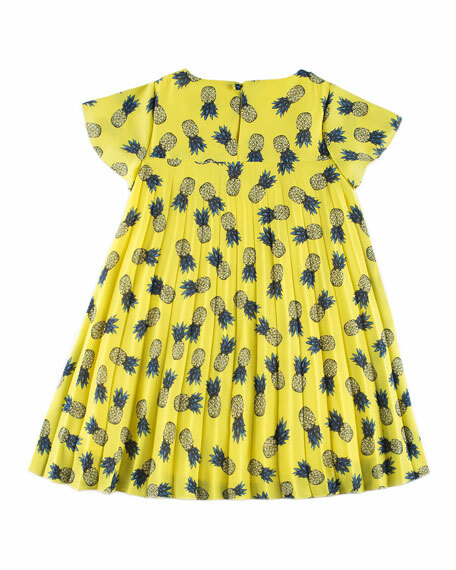 Pili Carrera dress in pineapple print. Crew neckline with self-tie bow detail. 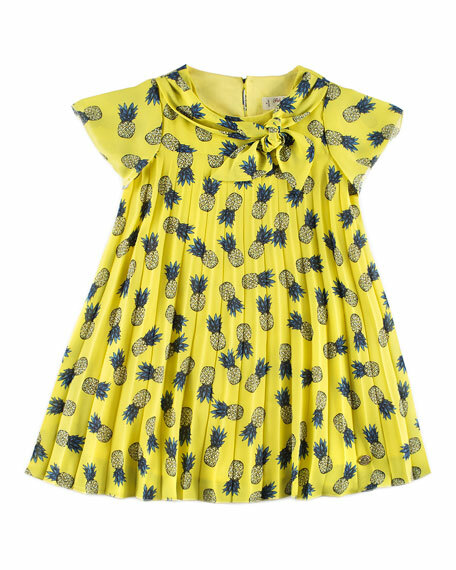 For in-store inquiries, use sku #2448731. 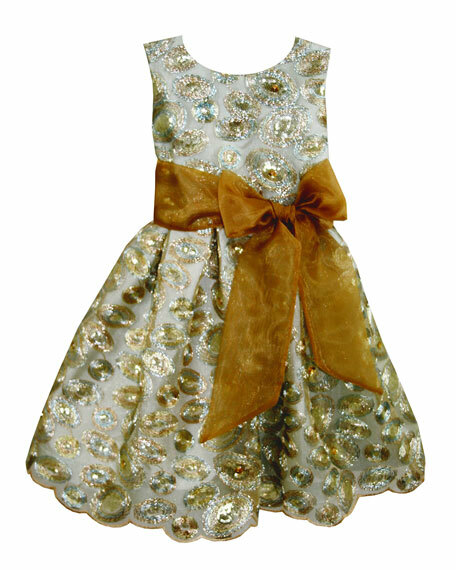 Milly Minis dress with floral and sequin embroidered upper. 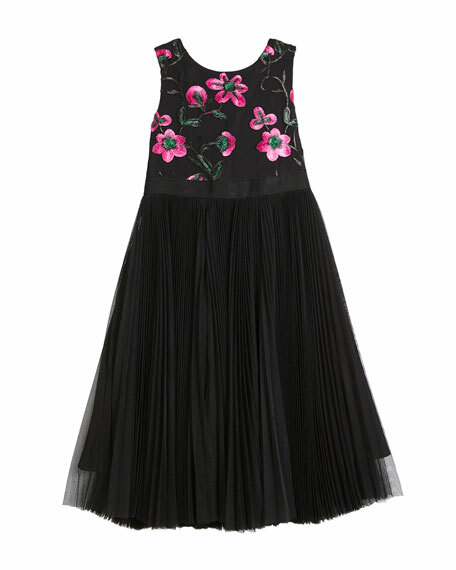 Accordion pleated tulle skirt. Crew neckline. Sleeveless. Keyhole-button back. Grosgrain ribbon waistband. A-line silhouette. Polyester. Made in USA of imported material.